Are you struggling with the cost of maintaining or upgrading a legacy helpdesk solution from BMC, HP or CA? Has your company outgrown a home-grown service desk? If yes, this webinar is for you. 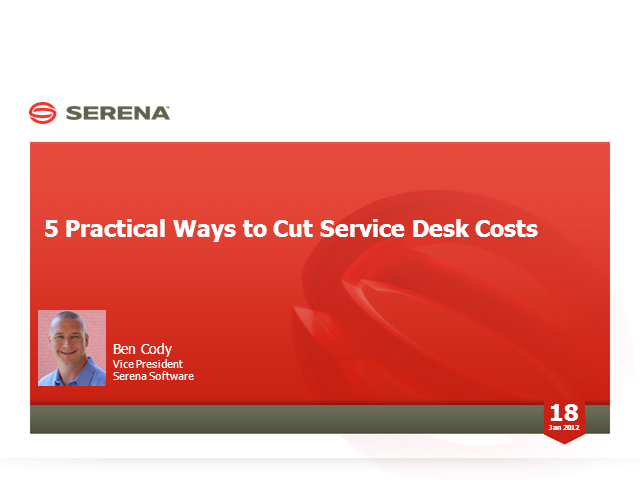 Join the Serena team as we discuss and demonstrate a revolutionary, new process-based approach to IT Service Management (ITSM) that has helped companies like yours cut service desk license and maintenances costs by 60% or more.